Kale is the king of all super healthy greens. Kale or Brassica oleracea is a popular vegetable, a member of the cabbage family. It is loaded with lots of macro and micro nutrients. Kale’s cancer preventive benefits have been clearly linked to its unusual concentration of two types of antioxidants, specifically, carotenoids and flavonoids. 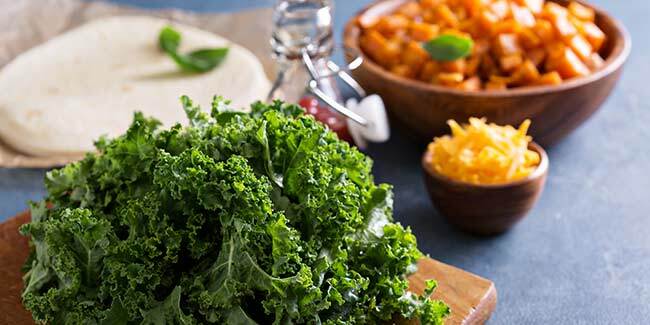 Within the carotenoids, lutein and beta-carotene are standout antioxidants in kale. In just 1 cup of kale, you can get 200 percent of the daily recommended value for vitamin A in the form of beta-carotene. It also contains compounds like lutein and zeaxanthin, which can help maintain healthy eyesight. Kale is one of the healthiest vegetables around and one way to be sure to enjoy outstanding nutrition and flavor from kale is to cook it properly.